Here’s my take on the 8 most significant and interesting occurrences during the past week……. 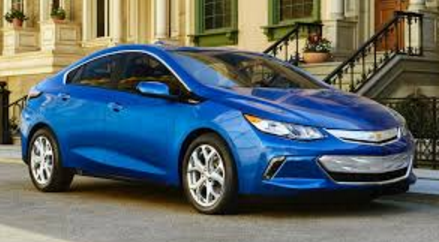 Latest on 2016 Chevy Volt: For the redesigned Volt, here are a few interesting facts……. It’s only available now in California and a few other plug-in friendly states with nationwide rollout coming up in early 2016…….. The 2016 model year will be short with the 2017 model rolling out in the spring. That seems to come from needing to get the redesigned Volt out on time with the scheduled 2016 launch, but not having extra features ready at the time. Those will be available starting with 2017 at the same price as 2016; one of these options will be adaptive cruise control as an option on the Premier model with next-gen features like blind-spot warning and forward-collision warning…….. There will also be a new exterior color option for 2017, called Citron Green Metallic. New Eco option for 2016 Prius: Toyota is adding another version of the Prius for the 2016 model – the standard hatchback version which now has 52 combined city/highway mileage; and the 2016 Prius Eco is rated at 56 mpg combined (58 mpg city, 53 mpg highway) – which would make it the highest mileage non-plug-in model out there. The 2016 Toyota Prius Eco comes with a lithium-ion battery pack that’s smaller and lighter than the nickel-metal-hydride pack in the entry-level Prius Two model. Ford and Google: Ford CEO Mark Fields will likely announce an alliance between Ford and Google during his keynote speech next month at the annual Consumer Electronics Show in Las Vegas. The two companies are expected to forge an alliance for joint development of autonomous vehicles. That could help jump-start testing an autonomous version of the Ford Fusion Hybrid sedan on public roads near its high-tech center in Silicon Valley in the near future. FAST Act and EVs: The Fixing America’s Surface Transportation Act (FAST Act) passed through Congress and was signed by the president at the beginning of December. While natural gas vehicle advocates saw the benefits gained, electric vehicle fans have a few things to look forward to, as well. The U.S. Dept. of Transportation will designate corridors for electric vehicle charging; hydrogen, natural gas, and propane autogas fueling sites will also be part of the designated corridors. DOT will need to designate these corridors in the next year – by December 2016, and updates and re-designations will be released every five years. DOT will name these highway corridors based on perceived demand for the infrastructure, strategic importance of a stretch of highway, and pre-existing charging and fueling infrastructure. NGV forecast report: Declining oil prices, along with gasoline and diesel pump prices, have softened global demand for natural gas vehicles. Several regions already have substantial markets for NGVs that are expected to continue growing over the next decade, but at a slower pace, according to a Navigant Research study. Global annual NGV for CNG and LNG vehicle sales are expected to grow from 2.4 million vehicles in 2015 to 3.9 million in 2025. New DOE reports: The U.S. Department of Energy has released two alternative fuel reports. “State of the States: Fuel Cells in Americas 2015” offers a comprehensive analysis of state activities supporting fuel cell and hydrogen technology, profiles of leading states, and a catalog of recent installations, policies, funding, and deployments around the country. “Biogas Opportunities Roadmap Progress Report” comes from the Whitehouse Climate Action Plan’s directive to reduce methane emissions. The report tracks how strategically deployed biogas systems offer the nation a cost-effective and profitable solution to reducing emissions, diverting waste streams, and producing renewable energy. Lyft gets LAX access: Ride-hailing service Lyft can now pick up riders at Los Angeles International Airport – an approval process taking much longer than had been originally expected. Uber was not included in the decision, and that company is hopeful that it’s “only a matter of time” before Uber is available at LAX for pickups. Both companies have been allowed to drop off passengers at LAX for the past two years. Lyft and Uber have been heavily battled by taxi operators, who are losing business to these companies. LAX lacks direct rail service, faces heavy traffic gridlock, and pricey parking rates, which backers say may Lyft and Uber more appealing. EV forecast: Navigant Research expects that the global light duty electric vehicle market will grow from 2.6 million vehicle in sales in 2015 to over six million in 2024. Strong government support through vehicle fuel efficiency regulations, as well as purchase incentives in North America, Europe and Asia Pacific have supported these sales. Automakers are helping increase market acceptance through increasing battery electric vehicle range and reducing vehicle cost and charging time. Electric utilities in global markets are determining how best they can take part in encouraging electric vehicle market growth and charging, which is also supporting adoption of EVs. New model launches and revamps – The Chevrolet Bolt, Tesla Model X, and revamped Toyota Prius, Chevrolet Volt, and Nissan Leaf were announced or released this year. The introduction of the Bolt led to the conclusion that battery electric vehicles with 200 miles per charge would be enough to find a wider level of acceptance from car shoppers (along with a more affordable price). The Model X was delayed and gained a lot of attention in blogs and social media on when it will actually be delivered to owners. The Prius, Volt, and Leaf are seeing their biggest changes adopted since first being launched, and are expected to see sales gains. Of course, increasing gasoline prices would help with consumer demand for green cars. Volkswagen scandal – The U.S. Environmental Protection Agency in September found that several cars sold by Volkswagen through its VW and Audi brands were given a “defeat device,” which is software in diesel engines that could detect when they were being tested, changing the performance accordingly to improve results. The EPA’s findings cover 482,000 cars in the US only, and VW admitted that about 11 million cars worldwide, including eight million in Europe, are fitted with the defeat device. VW has denied another claim by the EPA of modifying software on the three-liter diesel engines fitted to some Porsche, Audi, and VW models. VW has been firing employees and bringing in outside inspectors; and its numbers have changed on how many vehicles sold in Europe are affected by “irregularities” in tests to measure carbon dioxide emissions – from about 800,000 in November to only about 36,000 in December following investigations. VW will be losing billions of dollars as government investigations and fines in Europe, North America, and Asia continue, class-action lawsuits pile up, and car shoppers choose other brands. Renewable fuels – Renewable fuels saw significant gains this year with availability of commercial scale renewable natural gas, renewable diesel, and cellulosic ethanol. Fleets in California are adopting these fuels faster than in other states, but the interest level is high nationwide. California’s low carbon fuel standard and funding its producing in carbon credits is helping the new fuel move along, too. One of the best parts is that fleets can use existing diesel, flex fuel, and CNG vehicles with these renewable fuels to significantly reduce emissions. Tesla Energy – Tesla Energy is bringing Tesla batteries to homes, business, and utilities to store energy to better manage power demand, provide backup power, and increase grid resilience – with much of it coming from solar power. Called the Tesla Powerwall, it includes Tesla’s lithium-ion battery pack, liquid thermal control system, and software that receives dispatch commands from a solar inverter. Soon after its launch in May, Tesla gained $800 million worth of reservations in the Powerwall. Chinese companies enter America – Along with the Chinese government’s mandate to bring more electric vehicle to pollution-packed Chinese cities, the U.S. has been seeing more presence from Chinese investors in U.S.-based facilities producing electric cars. Fisker Automotive, owned by Chinese auto parts giant Wanxiang, signed an 11-year lease deal estimated to be worth about $30 million. Fisker will be opening a production plant in Moreno Valley, Calif., about 60 miles from its corporate office in Costa Mesa. Later in the year, the company was renamed Karma Automotive. Chinese startup electric carmaker Faraday Future will spend $1 billion on a U.S. factory and operates out of a former Nissan research facility in Gardena, Calif., next to Los Angeles. NextEV is a well-funded electric-vehicle startup backed by firms in China. The startup has an 85,000-square-foot U.S. headquarters and R&D center based in San Jose, Calif.
COP21 – The U.N. climate change agreement moved forward for the first time in several years. To help developing countries switch from fossil fuels to greener sources of energy and adapt to the effects of climate change, the developed world will provide $100 billion a year. The Obama administration was pleased with the agreement, including the section where all countries will be required to report on national inventories of emissions by source and also to report on their mitigation efforts. At the beginning of the Paris meetings, billionaire Bill Gates announced formation of the Breakthrough Energy Coalition, a group of 28 investors that will include Gates, Amazon CEO Jeff Bezos, Facebook CEO Mark Zuckerburg, and Virgin Group founder Richard Branson. The dollar amount hasn’t been announced, but investment funds will be available for biofuels, solar and wind power, efforts to capture carbon emissions from fossil fuels, and other clean energy projects. Another coalition that has met during COP21 is the ZEV Alliance, a group of local and national governments that plans drastic reductions in vehicle emissions over the next 35 years. 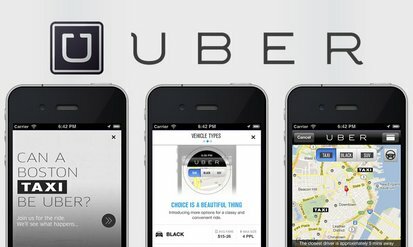 Uber and other shared economy suppliers – The “shared economy” has gained a lot of attention this year with companies like Airbnb making personal homes available to travelers who want to spend a lot less on lodging and want to avoid the corporate hotel environment. Uber and Lyft have taken off in ridership, where car owners share their personal vehicles for a fare to take passengers to airports, work, social life, etc., for half the cost of a taxi ride. Zipcar, Car2go and other carsharing suppliers are seeing their user numbers grow in the past year as more consumers lose interested in car ownership and want to have solid transportation alternatives in place. Urban mobility – “I believe we’ll see more change in the automotive industry in the next five to 10 years than in the past 50. Driving this historic transformation are shifting views of vehicle ownership, growing urbanization and the very digital and sharing economies that have disrupted so many other industries,” wrote General Motors CEO Mary Barra in a LinkedIn guest editorial. Shared mobility, autonomous vehicles, and alternative propulsion were analyzed in her column. These are the reasons Green Auto Market has added a new section on advanced transportation and urban mobility – very big changes are in the works. 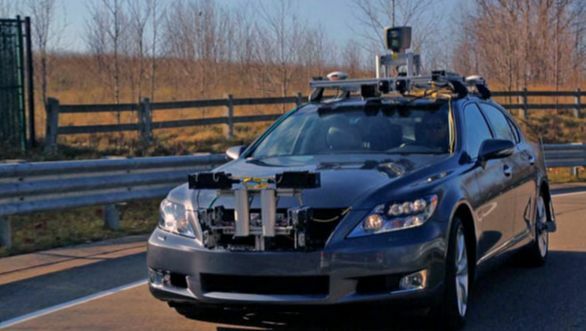 Autonomous vehicles – This topic continued to be hot in 2015. Along with the California DMV deciding to require a human passenger in the driver’s seat for emergency takeovers, Google and Ford made big news deciding to forge an alliance for joint development of autonomous vehicles. That could help jump-start testing an autonomous version of the Ford Fusion Hybrid sedan on public roads near its high-tech center in Silicon Valley in the near future. 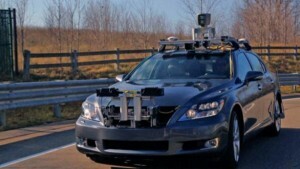 Another interesting move has been Austin, Texas, courting Google to set up self-driving car testing in that city. FAST Act – House and Senate negotiators passed the Fixing America’s Surface Transportation (FAST) Act, a five-year, $305 billion package, in early December in a 1,300 page transportation bill. Signed into law by the president, advocates are pleased to see support for the Congestion Mitigation and Air Quality Improvement Program; incentives for natural gas vehicles and fueling infrastructure; and support for intelligent transportation systems. Electric vehicle advocates are also pleased with FAST Act. One of the items in the final bill is a mandate for the Department of Transportation to designate corridors for electric-car charging; it also requires more hydrogen, natural gas, and propane fueling on the nation’s highways. 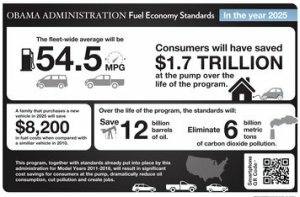 Federal mpg standards… Automakers have been seeing the mpg progress continuing to slow down as cheap gasoline drives demand for more pickups, SUVs, and crossovers. Even with that trend, the industry did continue to get cleaner and meet U.S. targets for 2014 and 2015, the U.S. Environmental Protection Agency said. EPA projects fleet-wide fuel economy to average 24.7 mpg in the 2015 model year – that’s part of a 5 mpg increase in the past 10 years, a 26% improvement. Consumers are leaning toward more fuel efficient cars and trucks, which is offsetting declining sales in electric vehicles and hybrids. Automakers with the highest mpg ratings also have lighter and smaller vehicles than do OEMs selling a lot of trucks and SUVs. Mazda finished first in the 2014 model year, followed by Subaru, Hyundai, Honda, and Nissan. In news related to the 54.5 mpg by 2025 mandate, Fiat Chrysler Automobiles (FCA) has purchased greenhouse gas emissions credits from Toyota, Tesla, and Honda – about 8.2 million megagrams (equal to 1,000 kilograms) of emissions credits. Even without acquiring credits, Fiat Chrysler still would have been in compliance in the 2014 model year, according to the federal report. FCA said it earned credits through improvements to air conditioning systems and other technological changes. The automaker had previously purchased nearly 1.7 million megagrams of emissions credits from Tesla, Nissan, and Honda, and more recently acquired another 6.5 million credits through the end of the 2014 model year. Tesla has sold all of its 2013 and 2014 greenhouse gas emissions credits to Fiat Chrysler. Along with Faraday Future, Chinese companies are continuing to play a role in the future of EVs in the U.S. and China. NextEV is a well-funded electric-vehicle startup backed by firms in China. The startup has an 85,000-square-foot U.S. headquarters and R&D center based in San Jose, Calif. The company has named Padmasree Warrior, Cisco Systems Inc.’s former technology chief, to lead U.S. operations. NextEV plans to take on competition with Tesla Motors in the luxury electric car market. Warrior has been considered a leading advocate for women in technology in Silicon Valley, and has recently joined Microsoft’s board of directors. Martin Leach, former CEO of Maserati and president of Ford Europe, is president of NextEV. The startup plans to roll out a battery electric supercar in late 2016 that can match Tesla’s “Ludicrous” speed mode. Saab Automobile is now part of National Electric Vehicle Sweden, or Nevs, which bought the Swedish automakers assets in 2012. Nevs now has a $12 billion deal to supply 150,000 electric cars to Chinese leasing firm Panda New Energy. Nevs will provide Panda with 150,000 9-3 sedan electric vehicles by the end of 2020 and 100,000 other electric vehicle products and services from companies associated with Nevs and its owners, the company said. The 2016 Advanced Clean Transportation (ACT) Expo will be offering a sneak-peak webinar on electrified transportation issues to be explored at the annual conference. 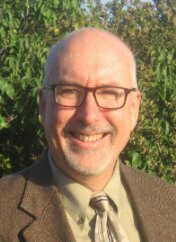 This complimentary, one-hour webinar will highlight what we can expect from the electric vehicle charging infrastructure industry, including issues of “roaming” and being able to pay by credit card; pricing structures; challenges and the promise of inductive charging; and fleet applications. Panelists work with the nation’s premiere electric vehicle supply equipment (EVSE) companies. This webinar takes place on Tuesday, January 12, 2016, at 10:00 am PST. ACT Expo will be taking place May 2-5, 2016, in Long Beach, Calif.
General Motors has stepped up its efforts to become a zero waste manufacturer by adding more facilities and turning byproducts such as polystyrene foam packaging into footwear. GM’s Toluca, Mexico, facilities take byproducts to a warehouse, where it is turned into pellets and combined with other polymers to create shoe soles. The Toluca complex (which has two engine plants, a warehouse and a technical center) joins GM’s Luton Assembly and Ellesmere Port Assembly plant in Europe to achieve landfill-free status. These moves have increased the landfill-free sites to 131 – another step forward toward achieving 150 landfill-free sites globally by 2020. In the wake of the Volkswagen emissions reporting scandal, Daimler said test results from the German environmental lobby group DUH allegedly showing that a Mercedes C class 200 CDI exceeded emissions of nitrogen oxides were “questionable.” DUH claims that the test model released NOx emissions that were more than twice the legal limits for Euro-5 standards when tested under new European testing cycles. “The test results are questionable as the conditions of the test are not clear. We don’t know the specific car, the temperature at the time of the tests, the loading weight,” a Daimler spokesman said. In other VW scandal news, Tesla Motors CEO Elon Musk co-signed a letter to the California Air Resources Board (CARB) urging it to direct Volkswagen to accelerate production of zero emission vehicles (ZEVs). Musk and 44 other prominent people in the electric vehicle and charging sector sent the letter addressed to CARB chair Mary Nichols. In the place of fining VW and forcing the automaker to fix non-compliant diesel vehicles on the road, it was suggested that VW instead be forced to significantly increase the production of ZEVs. As of yesterday, CARB said it was extending a deadline to approve or reject a diesel emissions repair plan submitted by Volkswagen AG for nearly 500,000 2.0-liter vehicles until January 14. BMW and Nissan are partnering in an effort to set up fast-charging stations at 120 locations across the U.S. The automakers plan to install dual-port chargers at 120 locations in 19 states. That list of states includes California, Connecticut, Florida, Georgia, Illinois, Indiana, Maryland, Minnesota, Missouri, New Mexico, Nevada, New York, North and South Carolina, Ohio, Pennsylvania, Tennessee, Virginia, and Wisconsin. The chargers include two different types of ports to service Nissan Leaf and BMW i3 battery-electric vehicles – and a number of others that can use CHAdeMO and CCS connectors. 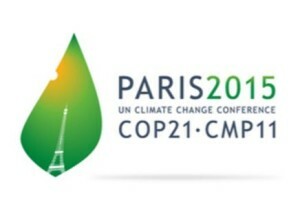 The COP21 climate change conference agreement, released to the public Saturday morning, may provide a solution for developed and developing countries that’s been unsuccessfully sought after for several years at these United Nations meetings. The agreement was signed by 196 nations outside Paris and sets the goal of limiting the world’s rise in average temperature to “well below 2 degrees Celsius above preindustrial levels and pursuing efforts to limit the temperature increase to 1.5 degrees Celsius,” as read in the agreement. To help developing countries switch from fossil fuels to greener sources of energy and adapt to the effects of climate change, the developed world will provide $100 billion a year. The Obama administration was pleased with the agreement, including the section where all countries will be required to report on national inventories of emissions by source and also to report on their mitigation efforts. During the conference, mayors of five West Coast cities – Los Angeles, San Francisco, Seattle, Portland, and Eugene, Ore., – met in Portland for a two-day summit and united to reduce carbon emissions by 80% by 2050 within their cities. That announcement followed California, Washington, Oregon, and British Columbia joining the International ZEV Alliance during COP21. Another interesting moment was Tesla Motors CEO Elon Musk speaking to a group of college students at the Université de Paris Panthéon Sorbonne, laying out his vision for sustainability in transportation and the steps required to stem climate change. He also discussed the business opportunities in cost reductions from energy storage and how much mobile devices will be changing in the future. China largest EV market and dealing with air pollution: Electric vehicle sales in China are expected to top 220,000 units this year, beating the U.S. (expected to be at 180,000 units sold) for the first time as the largest EV market in the world, according to the China Association of Automobile Manufactures (CAAM). China’s “new energy” vehicle sales have seen rapid growth in the past two years thanks to subsidies and tax cuts. Air pollution in Beijing and other major Chinese cities have been driving the incentives and sales. Tesla Motors and BYD say car shoppers are more interested in owning an EV due to the air pollution – and its making for an effective marketing message. One of BYD’s online ads shows a man in a cloud of pollution calling for help from China’s fabled Monkey King hero. ACT Expo and EDTA partnering again: The Advanced Clean Transportation (ACT) Expo and the Electric Drive Transportation Association (EDTA) have renewed their strategic partnership, committing to realizing the economic, national security, and environmental benefits of alternative fuel vehicles. “The 2016 event will showcase the significant range of electric-drive technologies now available and being deployed in the marketplace and will be a hub of activity for those looking to accelerate the deployment of advanced hybrid, battery, and fuel cell electric vehicles,” said Erik Neandross, CEO of GNA, the producers of ACT Expo. ACT Expo 2016 – set for May 2-5 in Long Beach, California – will assemble more than 3,000 attendees and 250 sponsors and exhibitors to examine the latest alternative fuel and advanced vehicle technologies for all weight classes, including electric drive, hybrid, hydrogen, natural gas, propane autogas, renewables, and efficiency technologies. It’s become the “must attend” event in clean transportation for fleets, OEMs, infrastructure suppliers, government agencies, and industry trade groups. Tesla’s leasing program and secrecy: BWG Strategy hosted a conference call discussion last week with auto industry analysts, electric vehicle groups, and media. Most electric vehicles sold in the U.S. are being leased – coming in at 75% of sales this year versus 80% last year. It gets a bit tricky analyzing Tesla lease residual value performance since so few of them have been sold relative to other automakers and their luxury vehicles. There’s not enough resale value data from auctions, and there’s a secretiveness attached to Tesla and its residuals and overall operations. An example of this given by one of the call participants was Tesla Motors not joining the ROEV Association, a collaboration of industry stakeholders designed to support electric vehicle adoption by facilitating public charging network interoperability. BMW, Nissan, CarCharging/Blink, ChargePoint, and NRG EVgo, do belong to this group. They do know that Tesla lessees have an average income of $200,000. One analyst said that a key element of Tesla’s upcoming Model III sedan will be that it’s going to be lighter than other Tesla models and its battery will be getting denser. The Model III is expected to have 35-to-55 kilowatt hour battery packs (versus 90 kWh upgrades available in the Model S). Volvo embracing renewable diesel: Volvo Trucks North America, after concluding truck and engine lab testing, approved the use of renewable diesel fuel for all of its proprietary Volvo engines, offering environmental and cost-savings benefits to customers. Volvo says that it’s the first OEM to endorse the use of advanced hydrocarbon renewable diesel fuel. “Availability of renewable diesel fuel is growing in California and throughout the country. Renewable diesel meets the same ASTM D975 standard for petroleum diesel, making it a true ‘drop in’ fuel,” said Frank Bio, director – sales development, specialty vehicles and alternative fuels for Volvo Trucks North America. Faraday Future plans to build a $1 billion factory near Las Vegas, which is expected to create 4,500 jobs. Brian Sandoval and state and local economic development officials announced a deal with the company on Thursday that includes tax incentives valued at $217 million over 15 years, depending on the company’s actual investment. Nevada will also help with infrastructure needs at the Apex industrial site in North Las Vegas where the company plans a three million square-foot assembly plant. Earlier in the week, Chinese billionaire Jia Yueting disclosed to Nevada legislators that he is backing the luxury electric carmaker; he also said he is not the only founder, but he did not name any other investors. Volkswagen scandal: There have been quite a lot of lawsuits filed against Volkswagen for the use of software to evade emissions limits in its diesel car models. More than 500 civil lawsuits filed against VW will be heard by U.S. District Judge Charles Breyer in the Northern District of California. That’s the court where the first case was filed and the state where about 20% of the suits have been filed. VW and the Dept. of Justice had requested the case be sent to Detroit. Last month in Chicago, EcoCAR 3’s 16 competing university teams unveiled their advanced, energy-efficient vehicle architecture for the 2016 Chevrolet Camaros donated by General Motors. EcoCAR 3 is a four-year engineering competition where 16 North American universities are challenged to redesign the 2016 Chevrolet Camaro to reduce its environmental impact while maintaining the performance and safety of the vehicle. It’s sponsored by the U.S. Department of Energy and GM, and managed by Argonne National Labs. One of the teams active in all three EcoCAR challenges has been Cal State LA. That team received the Camaro for Year 2 of the EcoCAR 3 competition on Friday. The Cal State LA EcoCAR 3 team will spend the rest of the academic year transforming the 2016 Motor Trend Car of the Year into a plug-in hybrid electric police vehicle that runs on E-85 fuel, preparing the car to test its capabilities at the General Motors Proving Ground in Yuma, Ariz., in June. Ford will invest $4.5 billion to add new hybrids, plug-in hybrids, and battery-electric vehicles to its line-up by the end of the decade, CEO Mark Fields said. Ford will also expand where it will offer those models, with two new produced, the plug-in C-Max Energi and the Mondeo Hybrid, entering the Chinese market in the coming months. By the end of the decade, Fields says that more than 40% of the automaker’s nameplates will be electrified, up from 13% today. Vision Fleet will continue its working relationship leasing electric vehicles and installing charging infrastructure for the City of Indianapolis after having been stalled out by litigation. Consulting firm Vision Fleet had been able to deliver about half of the 425 electric vehicles that came from an agreement last year with the city. Vision Fleet had filed a lawsuit alleging the city didn’t follow procurement practices. Indianapolis had put out a notice that it was seeking proposals from another firm. Vision Fleet was the only bidder, and the contract has been revised with suggested improvements. Arguably the most important component of a CNG fuel system is the fuel tank, which demands consistently reliable performance over up to 25 years of service. 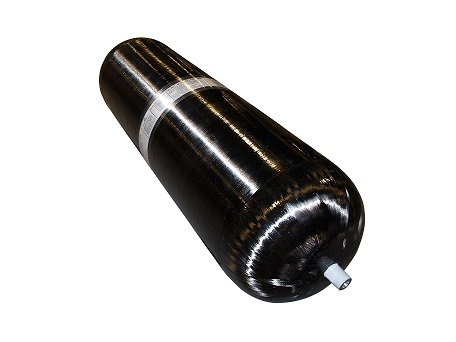 Pictured is a 26.2-inch Type III CNG fuel tank from Worthington Industries, which features a carbon-fiber reinforced aluminum liner that eliminates gas permeation. Arguably the most important component of a compressed natural gas (CNG) fuel system is the fuel tank, which demands consistently reliable performance over many years of service. Depending on a fleet’s driving range requirements, along with the vehicle platform and other factors, multiple fuel tanks can be specified by a CNG system integrator, with variations for type, diameter and length. Keep in mind that CNG fuel tank specifications are very precise, because they are often specified for a given vehicle application. If there is an eventual need, an exact replacement is necessary, in order to seamlessly synch with system components. Does the CNG fuel tank supplier’s product range match my vehicle designs? This includes not only length, diameter and tank type, but also custom designs. Sometimes, a very specific tank is required based on available dimensions and the supplier’s design and manufacturing expertise. What is a supplier’s process for managing design changes? An integrator may start with a particular system design, but based on vehicle platform evolution, that design will change. Does a fuel tank supplier have demonstrated ability to be flexible over time, and in-house engineers that are experienced enough to adapt? Remember, if there is a design change, and a new fuel tank is required years later, that tank will have to be re-qualified. What type of support can be expected? Since CNG fuel tanks are meant to last up to 25 years, choice of a partner that can support that product over its usable lifespan is key. Support includes availability of parts, like O-rings and valves, along with direct-replacement tanks. But support also includes customer service and repairs. A fuel tank supplier is more valuable if it has representatives that can head into the field, diagnose a problem and fix it. These three questions should be considered a starting point. Answers to these, and other questions, will provide system integrators important data on how a fuel tank supplier’s processes maximize system design and performance, which will help meet the needs of fleet operators, both today and well into the future. Wayne Powers leads the strategic growth and day-to-day operations of Worthington Industries’ Alternative Fuels business. The U.S. Department of Transportation unveiled the Smart City Challenge last week, where cities with populations between 200,000 and 850,000 can compete for $50 million in transportation funding. It comes out of the five-year transportation funding adopted recently in Washington with $40 million coming from the Federal Highway Administration and $10 million from the department’s private sector partner, Vulcan Inc. Five cities will be chosen in May and the winner announced in June with the focus being on finding the most innovative plans to harness technology that helps develop new mobility strategies. Hyperloop Technologies will set up its first test track to develop its vacuum tube transportation system on 50 acres in North Las Vegas, Nev. Hyperloop equipment will begin arriving this month and testing is expected to begin early first quarter 2016, the company said. The agreement was facilitated by the Nevada Office of Economic Development. Apple Maps is making a comeback in telematics and driving directions. It had been overshadowed by Google Maps and its Waze subsidiary; with recently adopted changes, it’s now become more widely used than Goggle Maps in iPhones. Apple fixed errors as its users submitted them. Changes include adding transit directories for several major cities, and buying out engineering and other talent from several mapping companies. National Highway Traffic Safety Administration is adding new advanced vehicle technologies to vehicles to make them safer. The updated five-star system will enhance crash tests and will take into account whether any of nine vehicle technologies, such as forward collision warning or automatic headlight systems, are being used. The new NHTSA rating system will now go through a 60-day public review process and could be revised before going into effect, as planned, for the 2019 model-year. Korean company Samsung is looking at growing its business through automotive technologies like autonomous vehicles, satellite navigation, and in-car entertainment. Making Android phones for Google hasn’t been enough as the smartphone business weakens, and it wants to take on other technology companies like lawsuit nemesis Apple in autonomous vehicles. One technology company that has already plunged into autonomous vehicles is Delphi. The automotive supplier will be showing off its own self-driving vehicle at CES 2016. Features include improvements in vehicle-to-vehicle including abrupt entry of a car into the lane; vehicle-to-pedestrian which can alert pedestrians about upcoming cars; vehicle-to-traffic light with status reports on yellow and red lights at intersections; blind corner warnings when intersections are at strange angles inhibiting vision of approaching cars; and a ridesharing feature where the driver’s friends and family can be notified of the driver’s location so that a ride can be requested. Ford Motor Co. is testing out an Uber-like service for employees. Its new Dynamic Shuttle Project will provide a fleet of 21 modified Ford Transit vans to Ford employees at its Dearborn, Mich., campus. 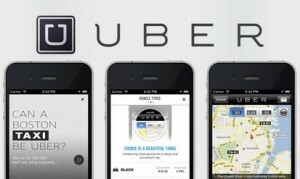 They’re operating like a cross between a bus system and the increasingly popular Uber ride-share service, helping hundreds of employees schedule rides through a smartphone app. It’s a cross between a shuttle bus system and a ridesharing service like Uber, where hundreds of employees can schedule rides through a smartphone app. It ties in well with a vision shared earlier this year. At the annual Consumer and Electronic Show in Las Vegas last January, CEO Mark Fields declared that Ford now sees itself as a “mobility company,” rather than simply an automotive manufacturer. 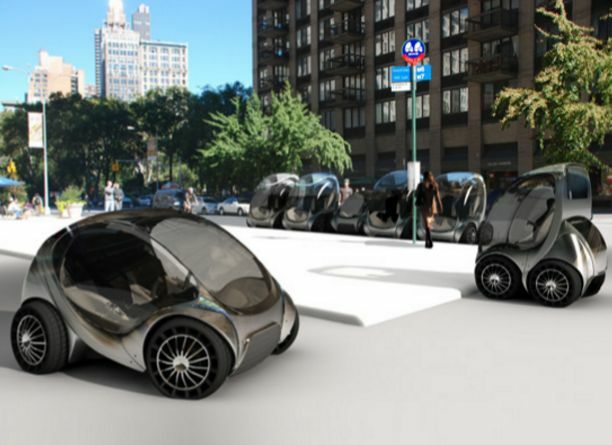 The automaker announced it was studying 25 different alternative mobility projects – which tied in well with a guest column Ford chairman Bill Ford had published in The Wall Street Journal’s 125th anniversary issue. Investors announced at COP21: COP21, the United Nations climate change conference being held in Paris, is about halfway through the negotiation process. Nearly 200 countries have gathered for the challenging task of forging a deal; reducing fossil fuel use in energy and transportation is at the heart of discussions. Early last week, billionaire Bill Gates announced formation of the Breakthrough Energy Coalition, a group of 28 investors that will include Gates, Amazon CEO Jeff Bezos, Facebook CEO Mark Zuckerburg, and Virgin Group founder Richard Branson. The dollar amount hasn’t been announced, but investment funds will be available for biofuels, solar and wind power, efforts to capture carbon emissions from fossil fuels, and other clean energy projects. Another coalition that has met during COP21 is the ZEV Alliance, a group of local and national governments that plans drastic reductions in vehicle emissions over the next 35 years. Members include California, Connecticut, Maryland, Massachusetts, New York, Oregon, Rhode Island, Vermont, Quebec, Germany, The Netherlands, Norway, and the United Kingdom. While the U.S. government hasn’t joined yet, the U.S. said it intends to double its current $5 billion R&D investment portfolio in advanced transportation systems and fuels, along with other cleantech products and technologies. FAST Act approved in Washington: House and Senate negotiators passed the Fixing America’s Surface Transportation (FAST) Act, a five-year, $305 billion package, late Tuesday in a 1,300 page transportation bill. President Obama signed the bill into law on Friday, with just hours to spare before the scheduled expiration of the nation’s road and transit spending. Critics have warned it doesn’t provide enough funding to deal with several infrastructure issues – nor does it provide a long-term source of funding. Advocates are pleased to see support for the Congestion Mitigation and Air Quality Improvement Program; incentives for natural gas vehicles and fueling infrastructure; and support for intelligent transportation systems. EV sales in November: The Tesla Model S continued its strength as the No. 1 selling plug-in electric vehicle in the U.S. in November. The Chevrolet Volt and Nissan Leaf continue swapping the No. 2 and No. 3 spots on the list. In its second full month on sale, the 2016 Chevy Volt plug-in hybrid sold 1,980, bringing sales over for October and November to more than 2,000 a month. With year-to-date sales of 13,279, the Volt follows the Nissan Leaf, which so far has sold 15,922 units in the U.S. The Ford plug-in hybrids – the Fusion Energi and C-Max Energi – continue to see moderate and steady sales figures. SCAQMD strengthens pollution credit trading: The South Coast Air Quality Management District has significantly strengthened the region’s pollution credit trading program, requiring major emission reductions from some of the largest facilities in Southern California. SCAQMD has ordered cumulative reductions of 12 tons per day of smog-forming nitrogen oxide (NOx) credits from 56 RECLAIM (Regional Clean Air Incentives Market) facilities to be implemented from 2016 to 2022. Along with internal combustion engines, compliance levels are being monitored for fluid catalytic cracking units, refinery boilers and heaters, refinery and non-refinery gas turbines, cement kilns, glass melting furnaces, metal heat treating and petroleum coke calciners, and other equipment affecting air quality in the region. The AQMD says that since RECLAIM’s adoption in 1993, there’s been a 71% reduction in emissions, new technology for pollution controls, better monitoring and reporting, and a high level of compliance in achieving facility emissions caps. NYC going electric: New York City will be deploying a lot of electric vehicles into its fleet by 2025, says Mayor Bill de Blasio. EVs could make up half of the city’s non-emergency fleet by that time, and a large network of charging stations will be installed to keep them fueled up. That will include about 2,000 cars used by the Parks and Recreation Department. The fleet will have a mix of battery electric models like the Nissan Leaf and plug-in hybrid vehicles like the Chevrolet Volt. Plug-in roundup: More announcements on upcoming plug-in electric vehicles…… Porsche is getting ready to launch its first pure battery-electric supercar, the Mission E. It will deliver a maximum output of 600 horsepower, and will be able to go from 0 to 62 mph (based on kilometer conversion rating), in 3.5 seconds. Porsche said it will be able to travel at least 310 miles per charge, about 5-to-10% more than the Tesla Model S……… Hyundai will launch a new vehicle in January named the Ioniq. It will have available three electrified drivetrain options in one body type – all-electric, traditional gasoline-electric hybrid, or plug-in hybrid powertrain. It will debut in South Korea next month, and then be shown at the Geneva and New York auto shows in March………. The 2017 Chevrolet Bolt battery electric vehicle’s production version will be unveiled January at International CES in Las Vegas. A spy photo near Palm Springs, Calif., shows that it closely resembles the 2016 Chevrolet Volt in its grille and side styling. But it looks a bit different than the concept model shown at the 2015 Detroit auto show. The National Alternative Fuels Training Consortium (NAFTC), in partnership with the Tulsa Area Clean Cities (TACC), today is launching three newly developed Alternative Fuel Vehicle (AFV) First Responder Safety Training classes at Tulsa Community College in Tulsa, Okla. Focused on targeted information for firefighters, emergency medical services, and law enforcement, these three courses feature techniques to safely respond to vehicle collisions, incidents and injuries involving alternative fuel vehicles. In addition to the training sessions, activities associated with the training launch include a press conference and an alternative fuel vehicles display. The vehicles on display will be utilized as part of the training sessions and available for viewing by the media and press conference attendees. For more information, contact Judy Moore of NAFTC at Moore@mail.wvu.edu. M-B fuel cell SUV: Mercedes-Benz will be rolling out a hydrogen fuel cell powered version of its GLC luxury SUV. It will replace the GLK and will be called the GLC F-Cell when it comes out in 2017; and will be revealed at the 2017 Frankfurt Motor Show to reach showrooms the following year. The SUV is targeted to have a combined range for the fuel cell and battery of up to 373 miles, and a refueling time of three minutes. Latest on VW diesel scandal: About 50 Volkswagen employees have come forward to testing in an “internal witness program” in Germany; that followed a raid of corporate offices by German prosecutors. In the U.S., sales by the VW brand tumbled by a 24.7% last month. A federal judicial panel will decide soon how to handle the more than 300 lawsuits already filed over the scandal. Plus, VW has lined up a $21 billion bridge loan it may need to cover the costs it’s expected to incur. Growth in workplace charging: This year, the Workplace Charging Challenge (sponsored by the U.S. Dept. of Energy) celebrated a major milestone – it reached the halfway point to its goal of 500 Challenge partners committed to installing workplace charging by 2018. Their efforts have resulted in more than 600 workplaces with over 5,500 charging stations accessible to nearly one million employees. In 2015, more than 9,000 PEV-driving employees charged at these worksites on a regular basis.